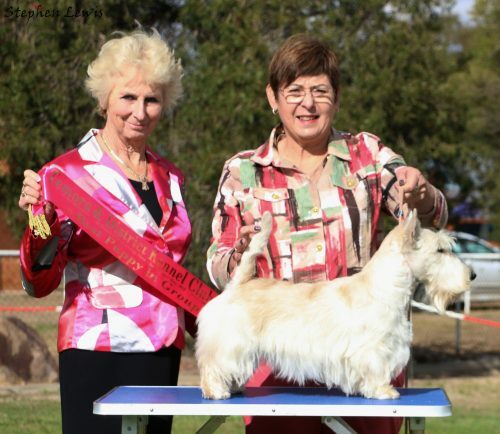 George is a young little superstar!! 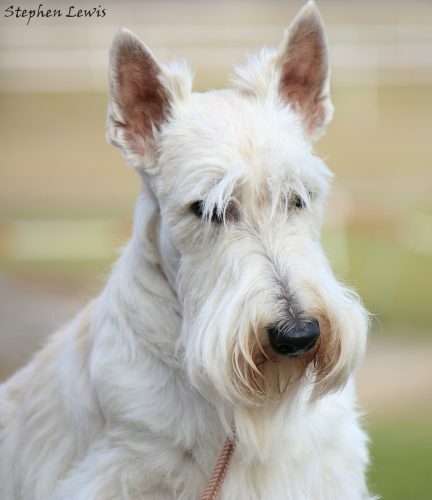 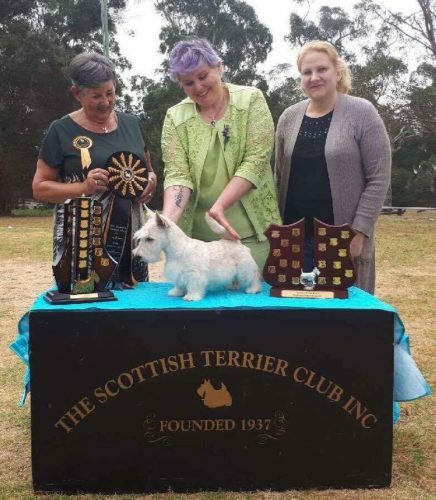 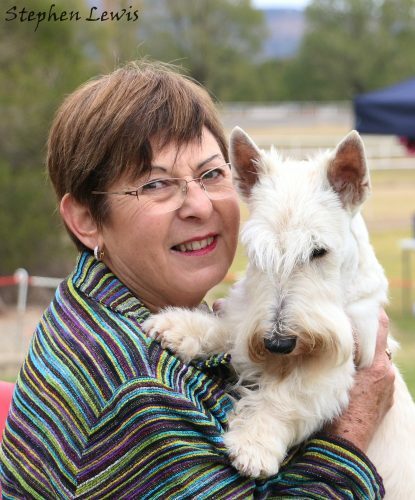 At the age of 18mths he earned his SUPREME Champion title which is the youngest for ANY Scottish Terrier in Australia. 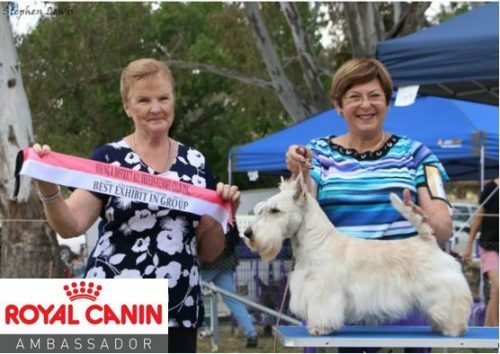 From birth George has been raised and conditioned on Royal Canin. 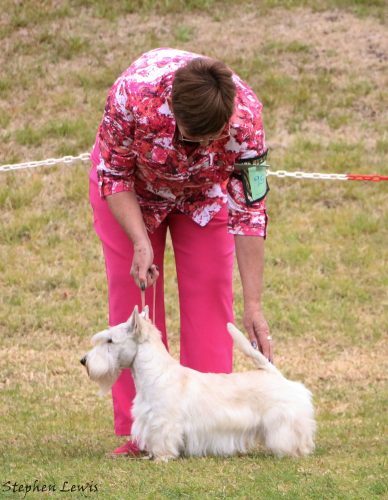 George and his Sister Sugar are a wonderful balance between American and European lines. 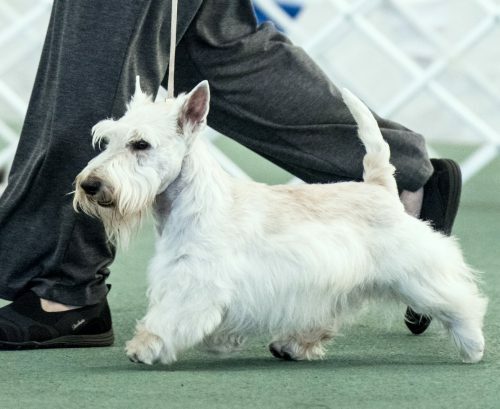 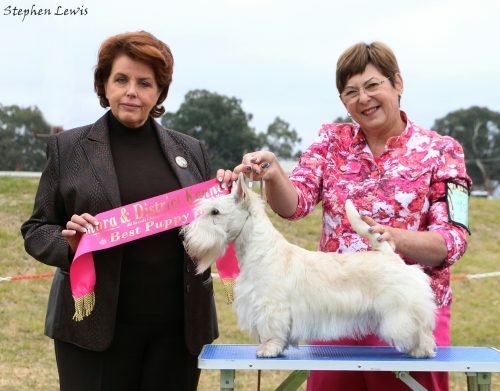 Their sire is from the world famous Raglan Kennel in Sweden and there Grandfather on his Dam’s side is from Cruft and Westminster Best in Show winning World renowned kennel McVan’s in America. 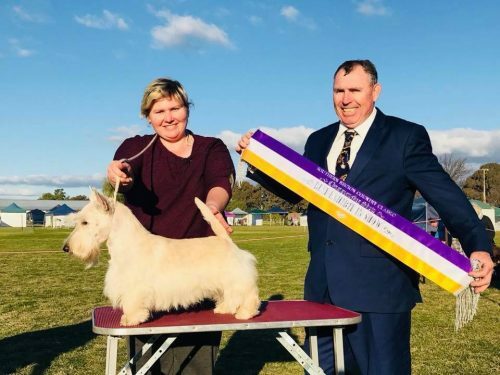 Already used at stud and produced some lovely pups we look forward to campaigning his son Shortblak Get Into the Groove who is already a Best in Group winner and multiple class in show winner. 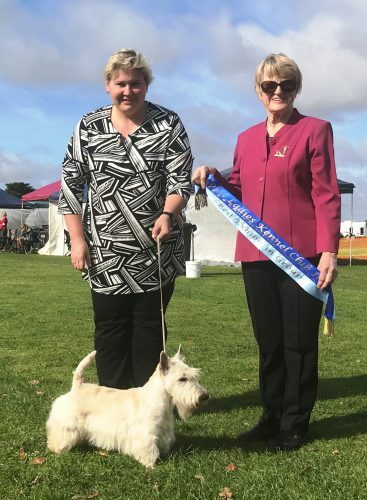 George finish 2018 as Victoria’s No1 Rising Star Terrier.